Ever since I becoming a full time blogger back in May this year, I have learnt to cook for my loved ones as home cook is nutritious and healthier choice for the whole family. As you know that U.S. Potatoes bring a lot of health benefits (More details from my previous blog post), today I am going to share my recipe of U.S. Potato Curry Chicken. As we Malaysian loves curry a lot, I was thinking why not transform our normal curry chicken into a nutritious version with plenty variety of U.S. Potatoes. So here is the recipe of U.S. 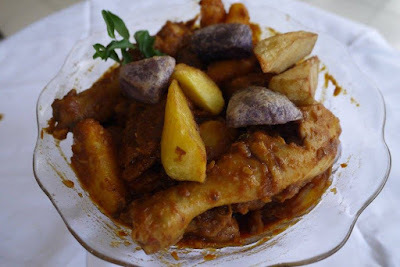 Potato Curry Chicken. 1. Cut the U.S Potato into cube sizes and deep fried the U.S Potato. 3. Fry curry paste on low heat in a pot. 4. When there is a fragrant smell, add in onions and garlics. 5. Stir in chicken pieces and cook for 5 - 8 minutes. 6. 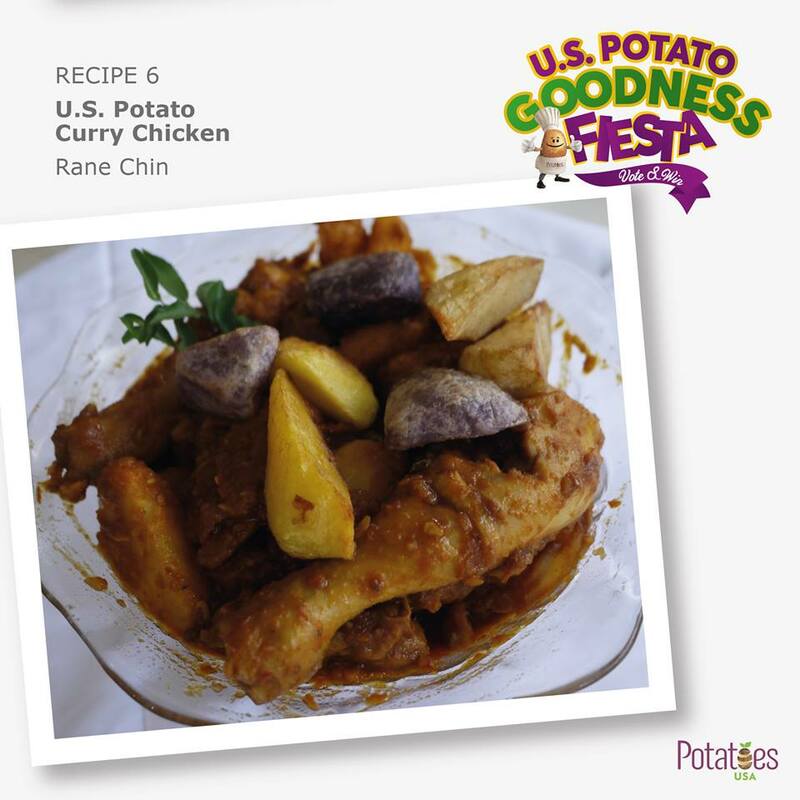 Stir in U.S Potato until well cooked and gravy thickens. 7. Serve hot with curry leaves. Tada, a bowl of hot yummy fragrant U.S. Potato curry chicken is served. Best serve with rice, let's try this out and I can assure you the whole family would love it. The recipe shared above for the curry chicken is very good and very easy to follow. I tried the same recipe, I was completely amazed by the result. The dish was so tasty and delicious. I already tried this recipe within a period of one week.